Besides its consequences on patient safety, medication errors may seriously hamper the self-esteem of health care professionals who commit the error and if not dealt properly, this may lead to serious mental health issues. 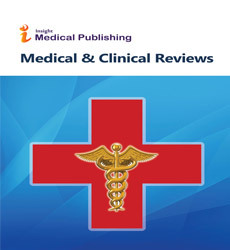 Using a descriptive design, this study aimed to explore the feelings and experiences of the health care professionals who had committed medication errors that occurred between December 2011 and March, 2012. What are the emotional responses of the health care professionals involved in the medication errors? What are the implications of those errors on the individuals? What coping strategies are used to deal with the situation? Data was collected by using face to face interviews with doctors, pharmacists and nurses who had committed an error. A purposive sample of 12 health care professionals including 5 nurses, 4 pharmacists and 3 physicians who had committed medication errors was face to face interviewed. The analysis of qualitative data was started along with data collection. The qualitative information was manually analyzed for themes and categories. Crabtree and miller editing analysis style were used for coding the data either in manifest or latent way. The findings from the interview are categorized into three sections: (a) emotional responses towards errors, (b) impact of errors, and (c) the coping mechanisms used by the health care professionals who committed the error. The immediate reactions of the health care professionals to the incidents included denial, shock, anger, distress and guilt. Their responses were mainly dependent on the nature of the incident. Most health care professionals accepted the error as a learning opportunity but remained worried about the consequences the incident may have on their professional image and career. Thus, besides actions to minimize error producing conditions, a supportive and constructive approach is required for handling the health care professionals who commit the errors. These findings have implications for the hospital administration, and recommendations provided in this study will help them to bring an improvement in the system.